Join local wine experts to test your skills and add to your knowledge of Petite Syrah. It's an interactive and fun way to learn more about prestigious vintages. 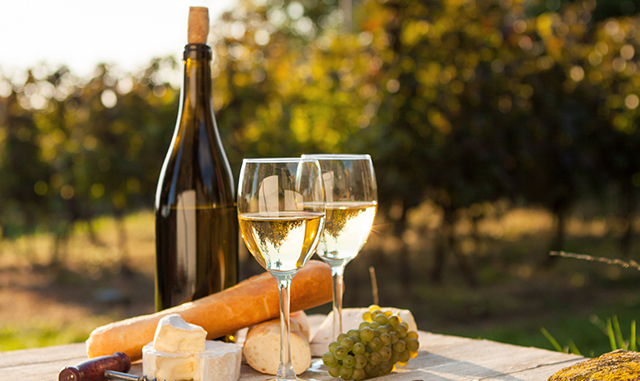 Nibble on locals cheeses as you share your thoughts on this intriguing wine. Take a culinary class at Andrea Mugnaini's vineyard in a beautifully renovated farmhouse. You can learn new cooking skills on six indoor and outdoor wood ovens. This 3-hour demonstration class is a delightful way to enjoy the bounty of Sonoma County. Francis Ford Coppola Winery presents this blindfolded tasting that explores flavors when the lights are turned off. It's a one-of-a-kind experience for any wine lover. Spend an invigorating Sunday morning in a local vineyard working on your best yoga poses. The hour-long session is followed by a snack of fresh fruit, wine, and morning bites.